Smart musical design ball point pens. 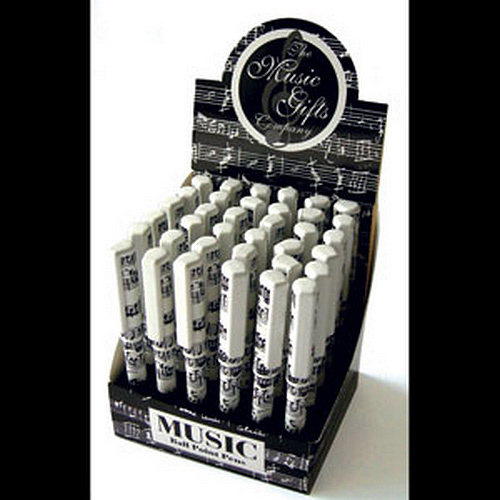 Makes for a useful and musical related gift for players, teachers etc. Black ink with plastic retaining cap.